Drummer George Spanos is someone you want to watch on the New York Downtown Scene. His latest album Dreams Beyond leaves the listener wanting more-- a great line up of musicians from Juini Booth to Ikue Mori. Spanos' drumming is masterful-- John Zorn has recruited him as drummer at the Stone on several occasions. We're excited about what George will do next. Lola Danza, also a masterful vocalist, who is also the label owner of Evolver did a fine job of adding George Spanos to her roster of musicians. This is an concert you do not want to miss. The album is a bold mix of Ornette Coleman and John Coltrane inspired free jazz, John Zorn-esque Downtown NY avant-garde, and a touch of electronic soundscapes. A newcomer in the New York City progressive jazz scene, George Spanos landed in the States last year from his native Athens, Greece. His first performance in New York took place at Zorn's The Stone, the mecca of New York's downtown creative music, where he performed in the Improv Night with Zorn, along with the likes of Erik Friedlander, Ikue Mori and many more. Spanos has appeared in jazz concerts and festivals in Europe, the United States and Canada. 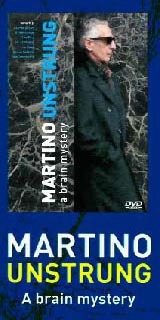 His versatile background enabled him to perform in various styles and disciplines, including jazz, classical, and world music. The album production brought together a stellar cast of legendary improvisers such as bassist Juini Booth (Sun Ra, McCoy Tyner, Elvin Jones, Tony Williams and Art Blakey), guitarist On ka'a Davis (Sun Ra), saxophonist Lawrence Clark (Rashied Ali) and Ikue Mori (John Zorn), as well as vocalist and Evolver Records founder Lola Danza, clarinetist Vasko Dukovski, tubist Ben Stapp, violinist Fung Chern Hwei, cellist Adam Fisher, percussionist Sayun Chang, trumpeter Keaton Akins, and pianist Simone Weißenfels. As a result, these fine musicians will take the listeners on a dream-like musical journey through time, from the sounds of the past to the sonic landscapes of the future and back. 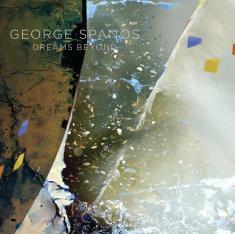 George Spanos will be having his CD performance on March 5th, 2015 (Thursday), 9pm, at Nublu in East Village , New York City.